This weekend sees Albion taking to the skies for a visit to newcomers in the league, Jersey. Jersey are seen by many as the favourites for the drop into Nat 1 at the end of the season and the initial results have done little to reduce this likelyhood. However, the break for the B&I cup appears to have offered them some respite as having drawn one and won one in that tournament they returned last week to earn their first in the Championship. This is not to say they haven't been in contention on previous occasions and they must view Albion as an opportunity to acquire some points. The referee on the day may have his work cut out with Jersey accumulating 7 yellows to date, 5 of which have been at home, whereas Albion have only 3 blots on their record. Of Jersey's 13 tries 10 have been scored through the backs with top try scorers being centre, Glenn Bryce and fly half, Michael Le Bourgeois both on three each. 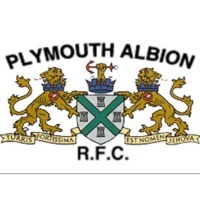 Jersey must be feeling upbeat after their recent successes and with Albion on a current losing streak of 4, Jersey must fancy their chances against a team they would certainly have targeted at the start if the season. If Albion are to come through this, which they ought, they must take a clinical and professional approach and treat the opposition with respect. Prediction - a potential banana skin for for Albion but 5 point result is there for the taking. Good one, Igwok [where did you get that name from ?]. Why do these threads appear without the story attached? If you really want to "know what I think" and me to "have my say by posting below", why not have the subject matter in close proximity, instead of at several pages distance...? Good work by the spy. We'll have to hunt him or her down! Sadly there'll be no 'clash of the Tongans' - our 'Vee' dislocated his shoulder last month and is out until end of Nov at least. I believe your Tongan may be on the bench and 'impacting' as necessary.